In November 2016, Donald Trump is elected President of the United States on an explicitly authoritarian, racist, and Islamophobic platform. This shocks you out of your Obama-induced slumber. Things are going to hell in the United States. A couple days after the election, you see a dramatic video calling for actions in Washington, DC on the day that Trump will take office: January 20, 2017. 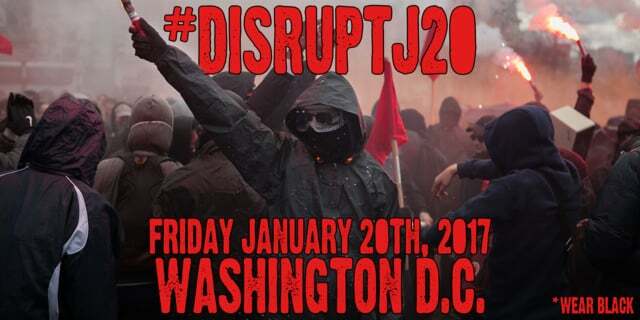 Soon, a website appears—disruptJ20.org—listing a range of protests scheduled for J20. One of the options is described as an “Anti-Fascist/Anti-Capitalist March.” The flier enjoins attendees to “wear black.” It looks like the most confrontational of the actions scheduled for the day. Do you attend the “Anti-Fascist/Anti-Capitalist March” at 10 am on January 20? Do you participate in the blockades on the morning of Trump’s inauguration, but avoid the sketchy march at 10 am? Or do you avoid Washington, DC entirely on January 20?